Philips Lighting (Euronext: LIGHT), the world leader in lighting, today announced its collaboration with Travaglini FarmTech, a new business division of Travaglini S.p.a., to build Italy’s first vertical farm plant research lab in Milan that will serve the Italian market as the first step of a global strategy. 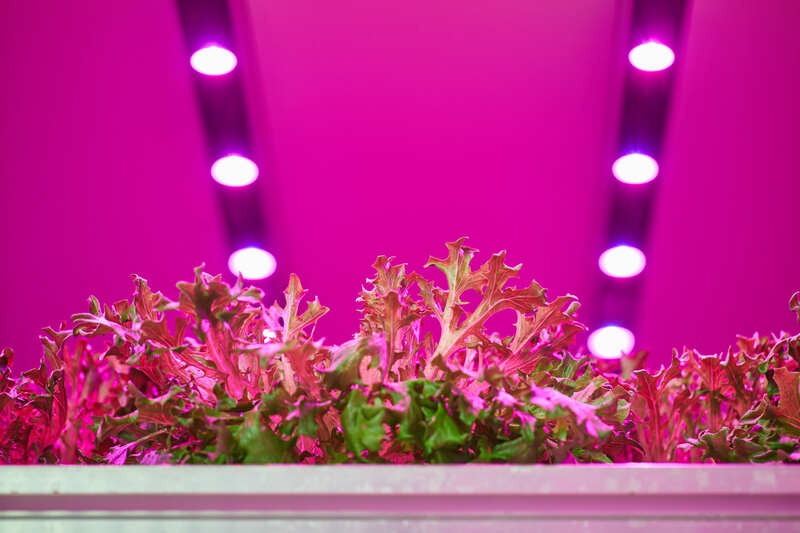 Philips Lighting supports Travaglini with its lighting expertise for vertical farming and by providing its GreenPower LED production module Dynamic grow lights. The plant research lab is the starting point for Travaglini FarmTech to develop turnkey vertical farming solutions to help food processors improve product consistency and simplify supply chain dynamics. The Italian vertical farm research lab will focus primarily on the production of leafy greens. The lab was developed on significant learnings and experience gained from Philips Lighting’s innovative GrowWise Center in Eindhoven, the Netherlands. The lab will be operated by Planet Farms, a new vertical farming operation established by Luca Travaglini and Daniele Benatoff. The combination of expertise of the three groups has resulted in a cutting-edge solution that will continue the vertical farming learning process. Innovative farming technologies, such as LED lighting, now make it possible to grow plants in indoor environments without sunlight. This cultivation process, known as city farming or vertical farming, is ideal for propagating young plants, cultivating full grown crops, such as vegetables, herbs and fruits and for growing healthier, pesticide-free crops. A vertical farm maximizes production by using LEDs to light multiple layers of crops, stacked in multi-layer systems to achieve a higher yield with a smaller footprint compared to a greenhouse. How can vertical farms benefit food processors? Vertical farming is a reply to the environmental problem that exists today in horticulture – how to provide fresh food to urban environments in a way that’s efficient and sustainable. “With vertical farming we are looking to answer many of the questions that the food industry is facing today and that will only become clearer and more pressing in the coming years,” said Travaglini. We can grow and process consistent, high-quality produce in one location in a vertical farm that can be close to retailers and consumers. It is a matter of continuing to push the boundaries to deliver great products to consumers in a sustainable way.” Consistent quality is another key issue for food processors because their base ingredients, such as produce, can vary widely in taste and quality in different periods of the year. It’s very important for the food processing industry to have a product that has a consistent taste and quality all year round. That’s something a vertical farm can guarantee. The new vertical farming research lab will be located at an existing building next to Travaglini S.p.a.’s headquarters in Milan, Italy and is planning its grand opening in July 2018. Travaglini S.p.a. is a world leader in the manufacturing of drying, smoking and aging systems, as well as industrial automation for the meat, cheese and fish industry. The high-tech farming facility has fully-automated irrigation, climate control and logistics systems. Sensors will measure data to manage, steer and improve the process. The facility includes a germination room for planting seeds, three multi-layer cultivation rooms with a total growing surface of 60 square meters, a processing room for washing and cutting the produce and a packaging room. The lighting will be provided by Philips GreenPower LED production module Dynamic, which allows Travaglini to individually adjust the LED colors and light intensities. This module offers the flexibility to adapt light recipes between crops and crop stages, to influence crop characteristics like vitamin levels, nitrate levels and shelf life. The GreenPower LED production module dynamic comes with the option to integrate a lighting control system with a climate or logistics computer. Philips Lighting, Travaglini FarmTech and Planet Farms will be present at the Ipack-Ima exhibition May 29th till June 1st to showcase the results of their partnership.